Is it shouting the answers at your television from the comfort of the couch that makes watching Jeopardy! so fun? How about the answer with a question format that audiences everywhere tune in for year after year? 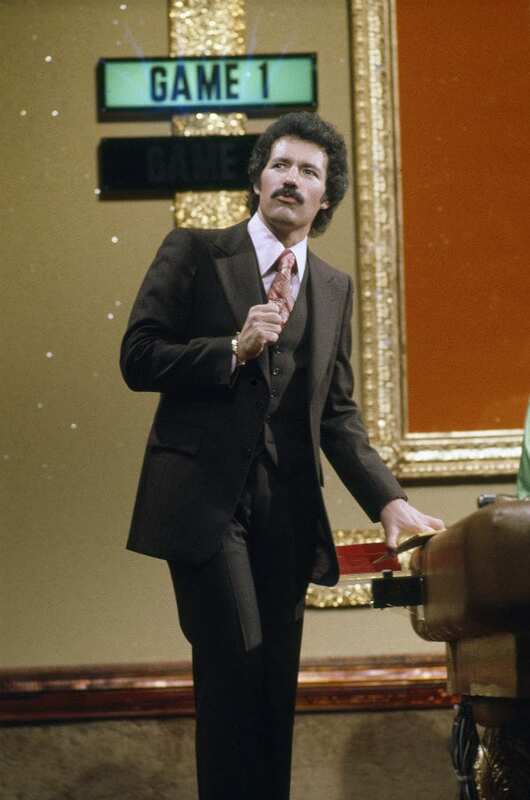 Or maybe Alex Trebek’s mustache that keeps us coming back? We’ll wager all our winnings that it might be all of the above. 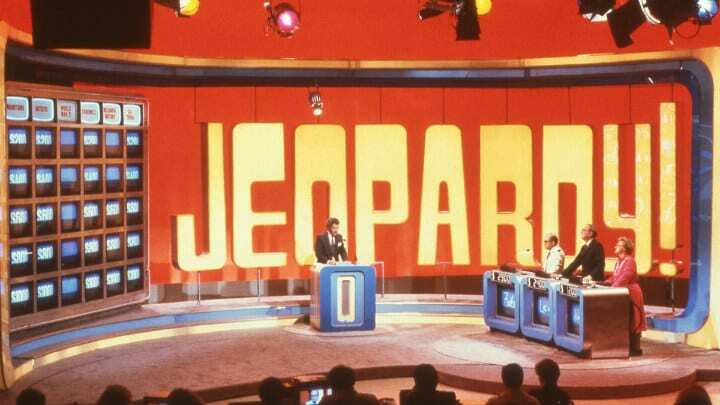 However, even the most loyal Trebek superfan wouldn’t know some of these behind the scenes facts about Jeopardy! What’s more, they are so revealing that even the producers wouldn’t dare to tell. 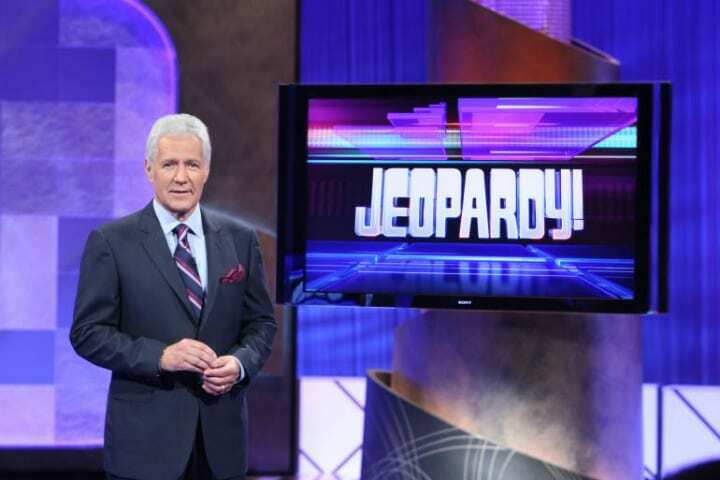 So read on to find out what Alex might call a “Jeopardy! Secrets,” category! 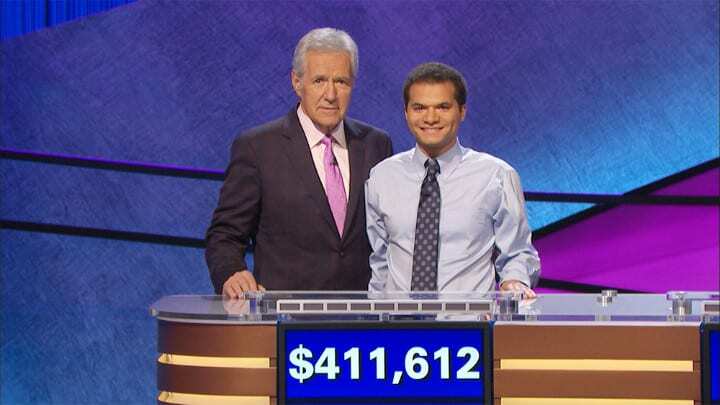 It would be almost impressive to meet someone who had never seen even a single episode of Jeopardy! considering it’s been on the air, and moreover widely beloved, for more than fifty years. Still, only those lifelong Jeopardy! fans would remember a time before host Alex Trebek. That’s right, as difficult as it may be to imagine a world before Alex Trebek and his pristine suits first took up the hosting position behind the podium on the Jeopardy! floor, there was Art Fleming. 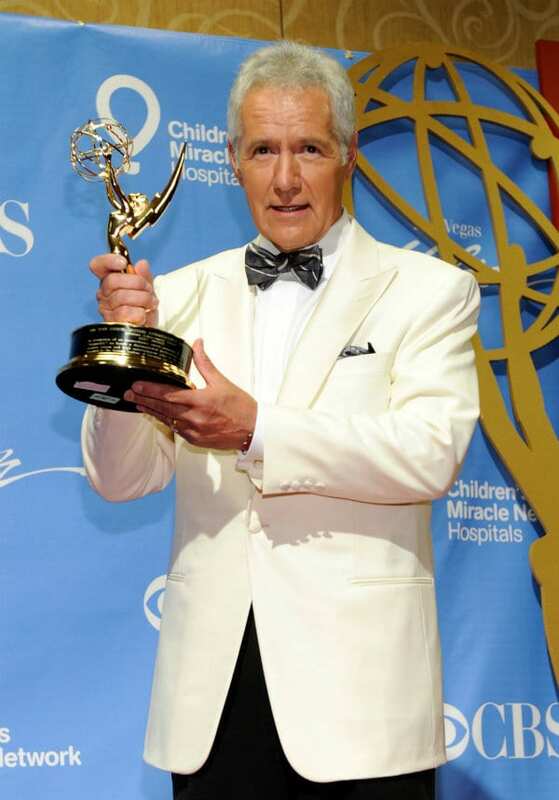 Alex Trebek has been serving as host ever since the daily syndicated version first premiered in 1984. Well, except for one very special episode. With 35 seasons of the syndicated series gracing our screens, that’s more than seven thousand episodes! Alex Trebek and the rest of the Jeopardy! crew produce around 230 fresh episodes a year. Don’t be misled though, 230 new episodes doesn’t mean 230 days of tapings. After so many seasons, the production crew behind Jeopardy! have worked out the taping schedule to an exact science: 46 days of tapings a year, five episodes a day. There’s no tipoff that a week’s worth of episodes are shot in the same day, thanks to a few clever little tricks only the geniuses at Jeopardy! could have come up with. 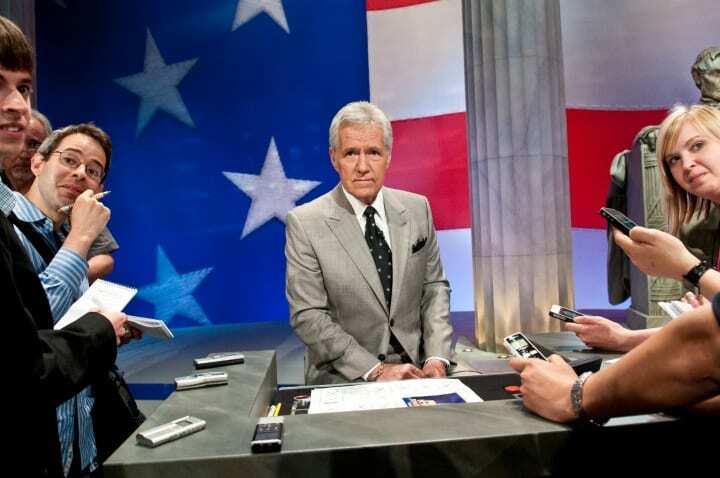 Alex Trebek’s suits will surely one day be placed into some sort of Jeopardy! hall of fame, and it had better be a big exhibition, because the gameshow host with the most claims to own over 100 suits! Why so many suits you ask? Simple. Alex Trebek changes his outfit five times a day, and ignoring the insane dry-cleaning bill that 25 separate suits a week must rack up, it’s not because Trebek’s a secret diva. In order to maintain the illusion that each episode is shot on a different day Trebek does a quick outfit change in-between takes. Pretty sneaky! So, if five episodes are shot each day, how do the contestants keep up? Every contestant is asked to bring a few changes of clothing or a selection of accessories, different ties or scarves to swap out between each taping. When Alex Trebek and company come back from a quick break, everyone watching at home is none the wiser that “yesterday’s game” only ended a few moments prior. And for those that have already done the math, that’s right, the winner may have to compete more than once a day. Imagine rushing off stage, changing your scarf, and diving right back into the heat of competition! The longest winning streak in Jeopardy! 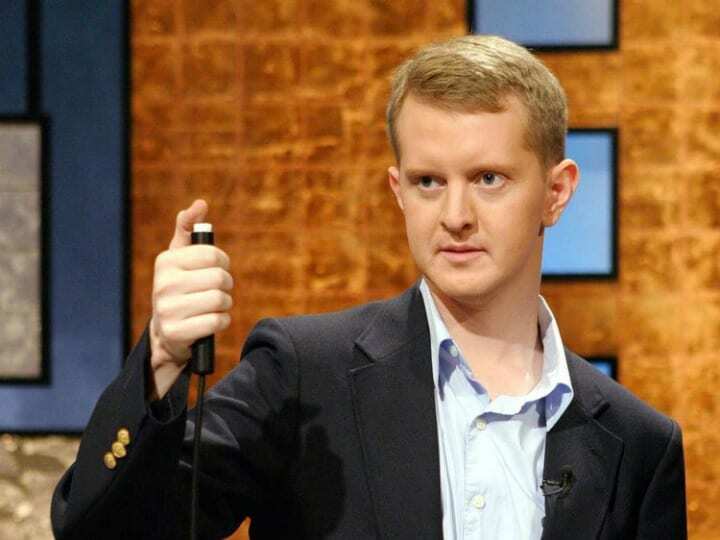 history belongs to the super smart Ken Jennings. In 2004 Jennings went on a 74-game streak, wherein no smarty pants competitor was able to unseat him as the standing champion. As we now know, what seemed like a multi-month stint on Jeopardy! was actually only three weeks. Jennings is the only contestant to still be in competition at the same time as the first episode he appears in went to air. Sworn to a strict confidentiality clause, Jennings couldn’t tell a soul about his historic streak until he was at long last beaten by real-estate agent Nancy Zerg. 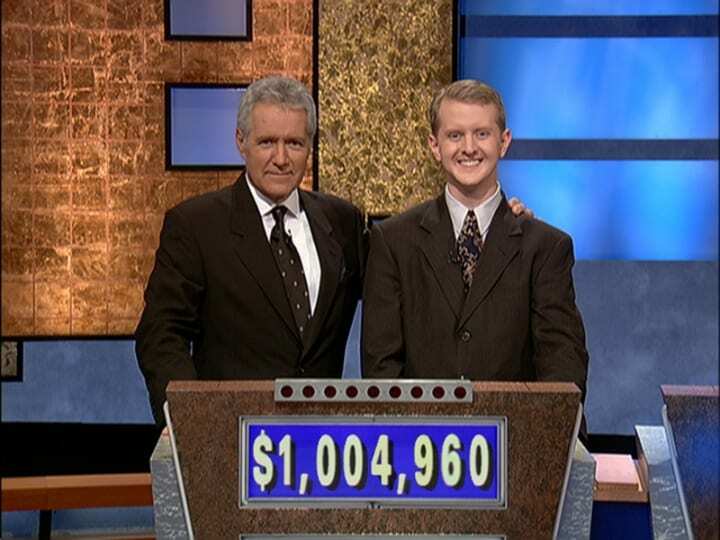 Despite Ken Jennings’ historic success, he’s still not the highest earning contestant, that title goes to Brad Rutter, who has won a pretty substantial fortune in his 14 years of competing on Jeopardy! Rutter’s Jeopardy! winnings come out to $4,385,702. Thanks to wins on Jeopardy!‘s Tournament of Champions, Ultimate Tournament of Champions, Masters Tournament, and the Battle of the Decades, Rutter can claim top spot among the winning trivia whizzes. If all those tournament wins sound impressive, that’s because they are! Rutter is the only contestant to have never been defeated by another human. Just because no human has defeated the super-genius, doesn’t mean he can’t be defeated by something else. Having defeated the second-standing Jeopardy! 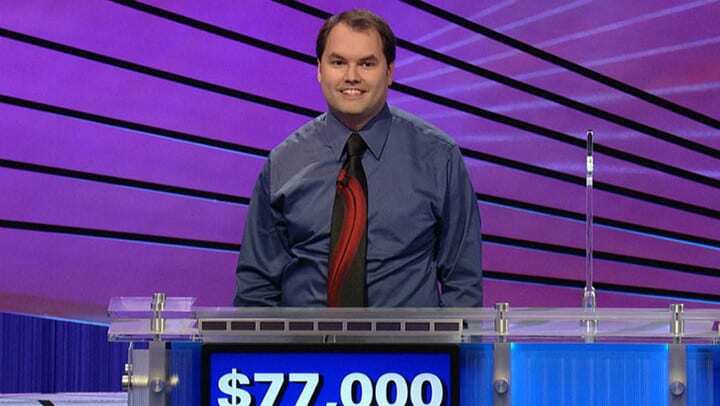 champion Ken Jennings in three tournaments, it would seem as though Brad Rutter was unbeatable. But the two most successful Jeopardy! contestants agreed to a special episode, against each other, and a surprise contestant, a newcomer named Watson. Watson took on the reigning kings of Jeopardy! 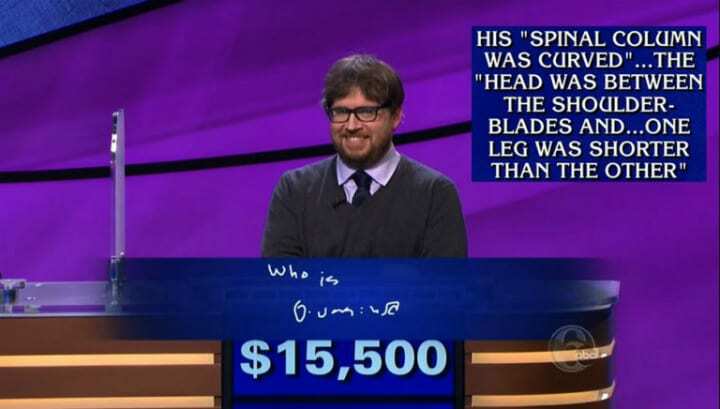 in 2011, and took them both to the cleaners, closing out the episode more than $50,000 ahead of his opponents. How did he do it? 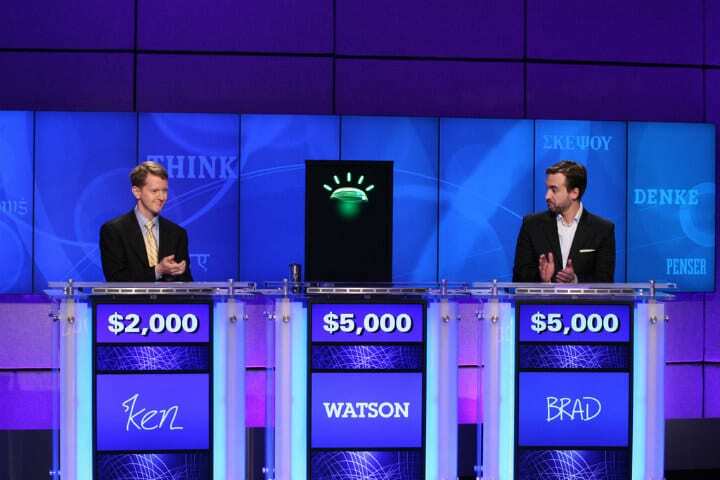 Watson was an IBM super-computer, powered by ten racks of ten Power 750 servers, and designed specifically to take down the unbeatable Brad Rutter and the formidable Ken Jennings. 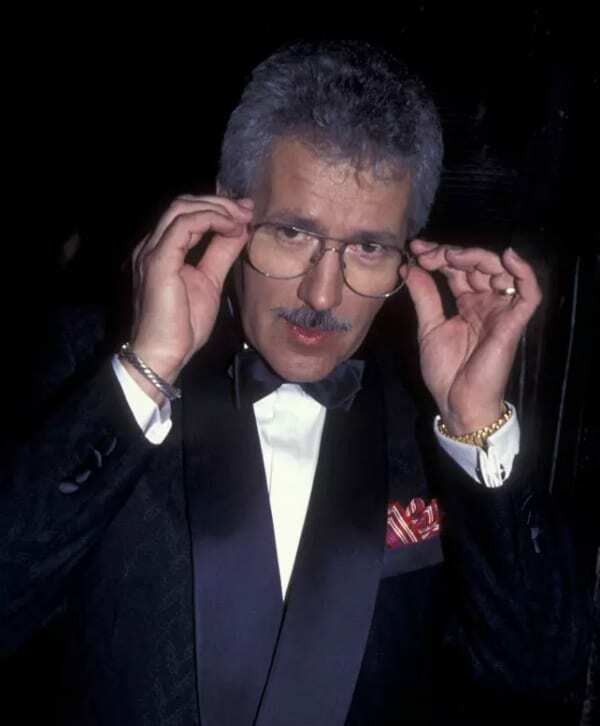 Since taking up hosting duties in 1984, Alex Trebek has never missed an episode, well, except for one special episode on April 1, 1997. Trebek traded places with the host of Jeopardy!‘s sister show, Wheel of Fortune‘s Pat Sajak for a gimmicky gameshow April Fool’s Day prank. And that’s not the only time Trebek has been a trickster! The Ultimate Tournament of Champions began in February 2005, and ran through May of that year, meaning there was an episode on April Fool’s Day yet again. This time, Trebek opened the episode without pants! The trouser-less Trebek was hoping to ease the tension of that day’s contestants. Speaking of everyone’s favorite gameshow host, Alex Trebek has a few fun surprises up his sleeves as well. Now, hold onto your hats folks, because the Canadian import’s name isn’t actually Alex, it’s George. But before everyone questions everything they’ve ever known, Alex is Trebek’s middle name. George Alex Trebek has a few hobbies outside of hosting Jeopardy! including playing hockey, building things around his house, and perhaps most of all, watching himself on Jeopardy! As long as there isn’t a Lakers game on that night, Trebek will hang out at home and watch Jeopardy! 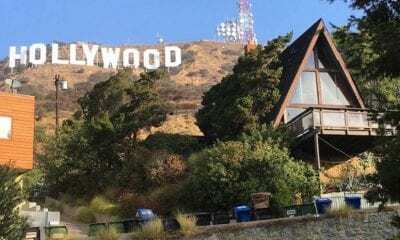 – celebrities, they’re just like us! So, you’ve been sitting at home shouting answers at your television screen for the last two decades, and you think you might be ready to bring your trivia A game to Jeopardy! Well, you may want to take this fun fact into consideration before signing up for the waitlist. 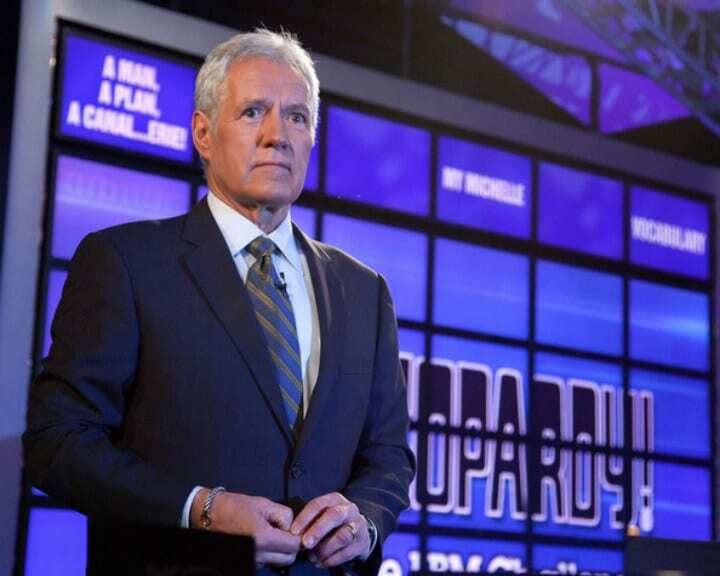 A person is more likely to write a New York Times bestseller, than make it onto Jeopardy! The acceptance rate to be a contestant is a terrifically tough 0.4%, and that’s only after acing a 50 question exam, with a 15 minute time limit. For anyone who may not be a Jeopardy! level genius, that’s 15 seconds per question. The Jeopardy! theme song has far surpassed its purpose of introducing the gameshow, and has become a cultural phenomenon all its own. Synonymous with taking too long to answer a question, or in Jeopardy!‘s case, answer with a question, the origins of the jingle are actually quite cute. The theme song “Think!”, a real earworm if ever there was one, was written by Merv Griffin, the show’s creator. But make no mistake, making contestants nervous wasn’t the initial intention behind the contagious composition. Griffin wrote the music as a lullaby for his son, originally calling it “A Time for Tony”. It’s safe to assume it didn’t have Griffin’s desired effect. Let’s talk about those bona fides. Jeopardy! has been on the air for decades, and in that time, has watched more than 400 other gameshows come and go. Jeopardy! isn’t just everyone’s favorite gameshow, it’s a favorite with the National Academy of Television too, having won a record 33 Daytime Emmy Awards. Right next to all those Emmy Awards, Jeopardy! can place its prestigious Peabody Award. Jeopardy! 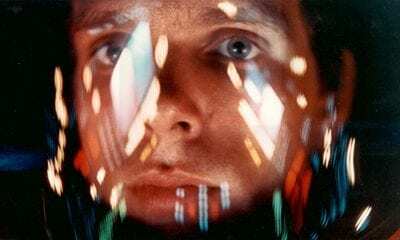 is so popular, it’s spawned numerous international iterations in places such as Canada, Germany, Sweden, the United Kingdom, Russia, Israel, Denmark and Australia. And on his own, Alex Trebek holds the Guinness Book World Record for most game show episodes hosted by the same presenter. What makes Alex Trebek such an icon? Could it be his trademark mustache?! Trebek had sported the snazzy style of facial hair for thirty years when suddenly, after a spur of the moment decision, the ‘stache was shaved, shocking millions of devout Jeopardy! fans. Spending the next few seasons clean-faced, Trebek opened up the 2018 season with a glorious silver beard. After Jeopardy! allowed fans to vote on Trebek’s style of facial hair, 73% voted for Alex Trebeard. Voting closed after Trebek’s wife Jean cast the deciding vote for a fresh shave. 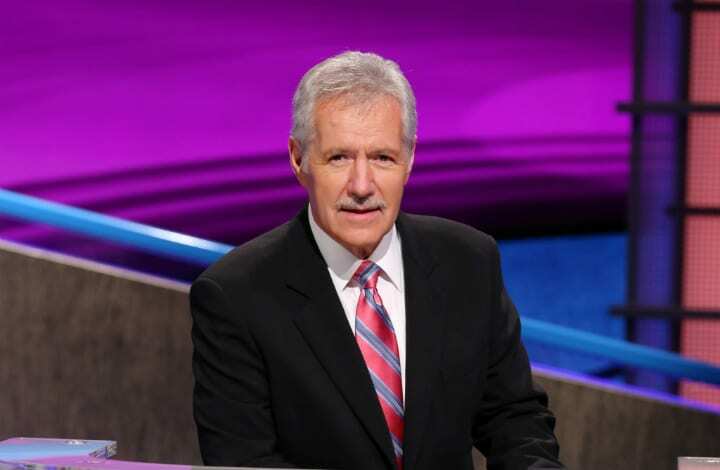 Still Alex Trebek’s mustache will go down in the mustache hall of fame, right next to Tom Selleck. Aside from his mustache, there’s something else that makes Alex Trebek such a fan-favorite gameshow host, his impressive stoicism. Perhaps SNL mocked it best in their Will Ferrell led Jeopardy! spoof, because Trebek remains unflappable in the face of contestant tomfoolery. 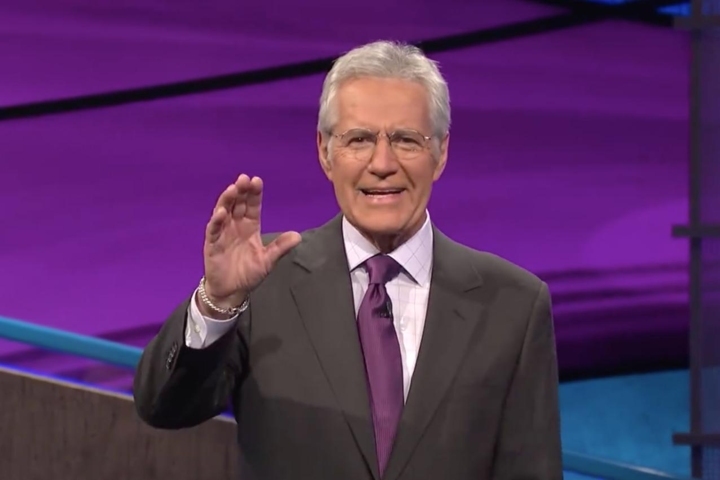 So much so, that it’s lead fans to wonder, is Alex Trebek a robot? Despite metal band Zion Grove recording a song entitled “Alex Trebek Is a Robot,” we are here to set the record straight. 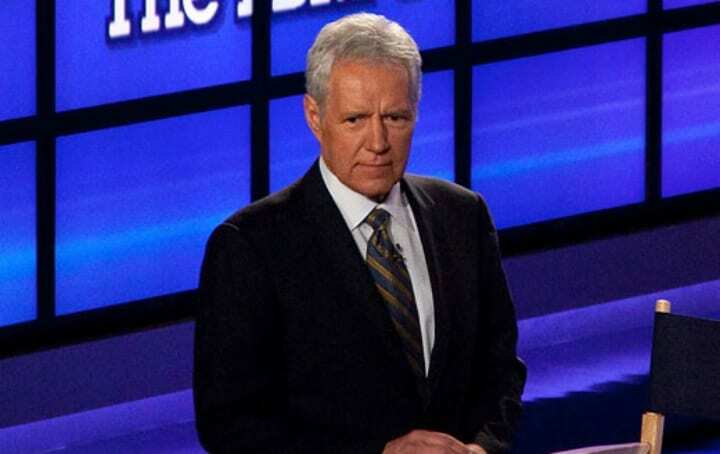 Sure, he has a British Royal Guard-like ability to keep a straight face, but Alex Trebek is not a robot, he just runs a tight ship. It’s all about the buzzer! Despite the illusion that the contestants are each in control of calling in their answers, there’s actually a “buzzer enabler” that activates the buzzer. Seems a bit unnecessary, no? Well, the buzzer enabler is a pretty important part of playing on Jeopardy!. Until 1985 Jeopardy! 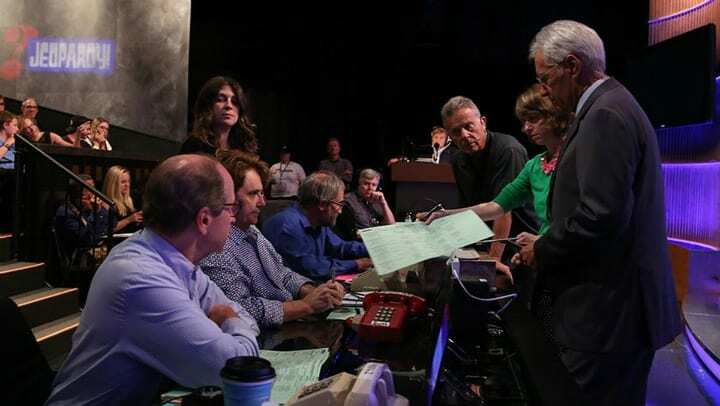 used buzzers that made a loud ringing noise when activated, but the showrunners quickly put the kibosh on that cacophony when contestants consistently rang in before Trebek even had a chance to complete reading the clue. Since then, the buzzer enabler activates use of the buzzer only after Trebek has finished speaking. 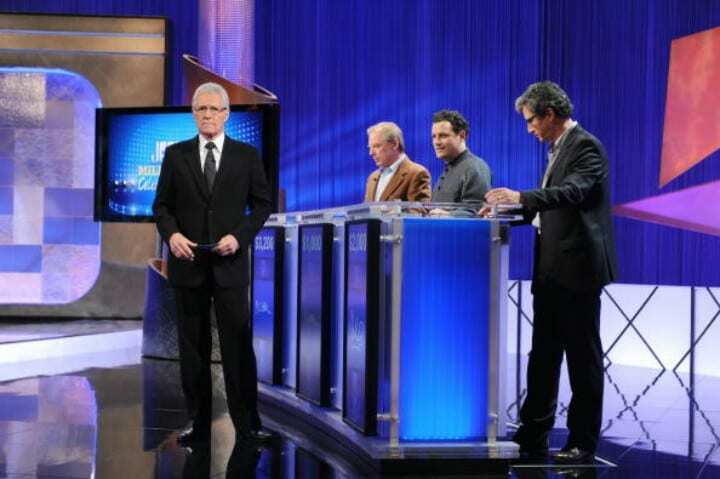 To date, there have been seven instances in which no player won a game of Jeopardy! If everyone wagers it all on Final Jeopardy and loses, everyone goes home. But what if someone has only $1, is it possible to take the title of defending champion? The Jeopardy! crew do their best to prepare each player for every possible outcome as they reach Final Jeopardy, and their biggest helpful hint? Whatever you choose to wager, try and have at least $1 at the end. Should two of the three contestants bet the house, and the third player put down $1 less than everything, they could be the big winner with only $1! Jeopardy! is full of happy endings when winners walk off with thousands more dollars in their pockets than they had before, but one player got more than a big payday. Eddie Timanus will forever be remembered in Jeopardy! history, and not just as the show’s first blind contestant. Timanus read braille cards for the category headings, and typed his responses on a keyboard instead of scribbling them down like his fellow competitors. 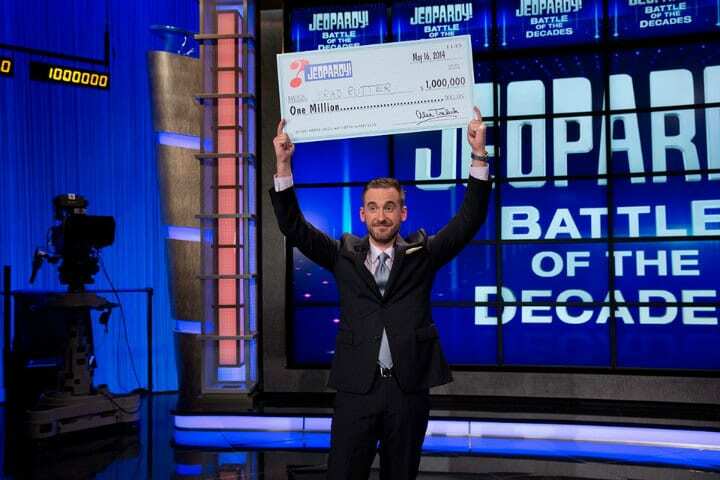 After a five-day streak and winnings coming in at $90,000 Timanus was already a Jeopardy! success story, made only more so when a woman saw him on television and sought him out – the pair are now married! How is it possible that every contestant that appears on Jeopardy! has the handwriting of someone trying to write a letter while riding a bucking bronco? Is there some sort of super smart genius gene that directly corresponds to poor penmanship? Not quite. Jeopardy! isn’t just about giving geniuses a chance at all that cash (and of course, bragging rights). The people behind everyone’s favorite gameshow are also in the business of giving back. Celebrities that appear on the show are actually representing the charity of their choice. Comedian Andy Richter, perhaps best known as Conan O’Brien’s sidekick, holds the record for most money earned in a Jeopardy! celebrity tournament. Richter walked away with a check for $68,000, written out to the St. Jude Children’s Research Hospital. Since the celebrity tournaments were first started back in 1992, Jeopardy! has donated more than $9 million to over 200 different charities. We know it’s possible to win Jeopardy! with only $1, but what’s the most money someone has won in one game? For once it’s not Ken Jennings or Brad Rutter! That record goes to Roger Craig, who beat out Jennings’ record by only $2,000. On September 14, 2010 Craig walked away with $77,000 – now that’s impressive! Although, according to another contestant, once you win, you may not be walking away with cold hard cash. Some winners wait months before their Jeopardy! jackpot makes its way into their account. And of course, that’s after federal tax. Still! Being able to say you won Jeopardy! is reward enough, right? 21. How High Can You Go? 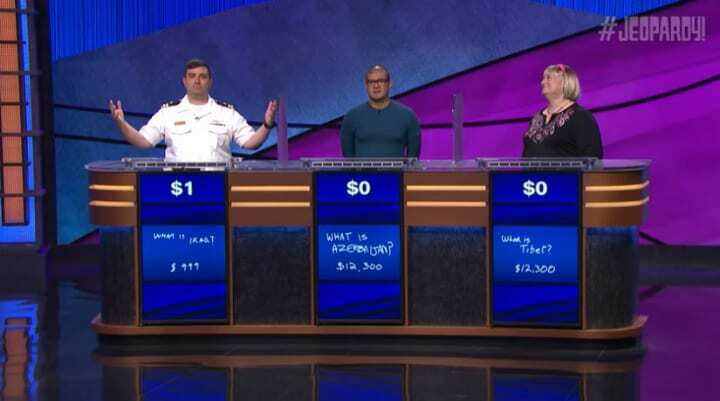 It’s probably not the first thing anyone would notice when they look at those three anxious and excited contestants all lined up on the right side of the Jeopardy! set. But one longer look at the trio of hopefuls will show an interesting coincidence. Can you spot it? All three contestants are consistently, as if by magic, the same height. Well, it’s not magic. 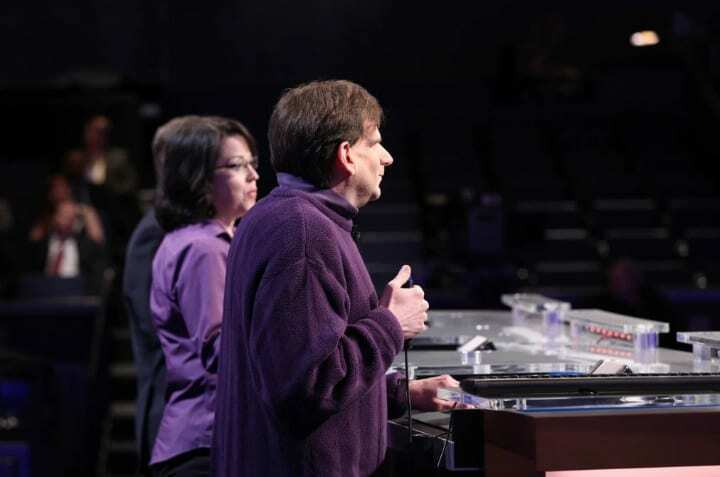 According to Jeopardy!‘s longest-running resident Ken Jennings, each contestant stands atop an adjustable platform, raising shorter players up to the height of their opponents. Evenly heighted is evenly matched? Probably not, but it’s a nice aesthetic touch nonetheless. Jeopardy! may have made Brad Rutter and Ken Jennings into celebrities, but established celebrities have tested out their trivia chops on the long-running gameshow too. Since its debut, Jeopardy! has been host to a whole slew of celebrity smarty-pants, like Neil Patrick Harris, Anderson Cooper, Jodie Foster, and Ashton Kutcher. 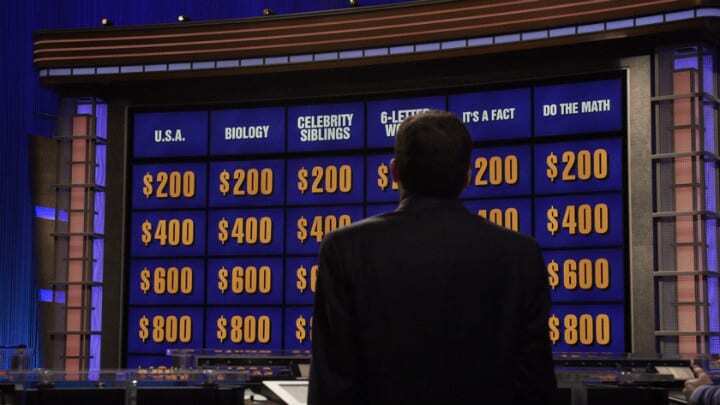 And major celebrities have presented clues in the course of Jeopardy!‘s run, like Michelle Obama, Bill and Hillary Clinton, and even the queen of daytime television, Oprah. Quick! Time for a Daily Double! The answer: it has more total viewers than Oprah’s talk show. The question: What is Jeopardy!? Correct! Jeopardy! draws in approximately 25 million viewers each week. Sure, it may have taken a super-computer to take down champions Brad Rutter and Ken Jennings, but the brain trust behind Jeopardy! isn’t automated, it’s a small team of fourteen clue creating masterminds. And the team behind those video clues even have their own special name – let’s get to know The Clue Crew. 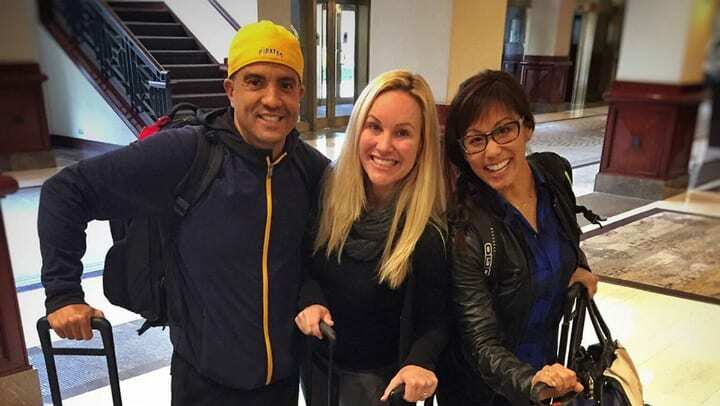 The Clue Crew consists of Sarah Whitcomb Foss, Jimmy McGuire and Kelly Miyahara, three Jeopardy! ambassadors. The trio travel the world, having thus far visited over 46 countries and all seven continents to record the video clues. 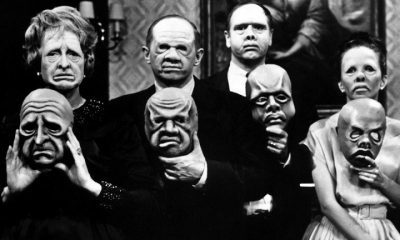 Collectively, The Clue Crew have traveled more than 1.3 million miles to film video clue footage. 24. Who Judges The Geniuses? After a series of scandals back in the ’50s involving judges helping contestants out in the competition, Jeopardy! has some strict policies in place. No contestant is allowed to even make eye contact with a judge. And in the event that one of the contestants’ responses is questionably correct? The judges are given a moment, most likely a commercial break, to determine whether the contestant’s answer is actually correct. These judges aren’t super-computers or even super-geniuses necessarily, just a group of really good fact-checkers. By the time the commercial break has come to a close, the judges have made their call. So you’ve read through every Jeopardy! fun fact, and you want to put yourself in the running to become a Jeopardy! genius, but you don’t know where to start? Contestants spend years preparing for their chance to compete on the famous gameshow. And they have a few helpful hints for all the Jeopardy! hopefuls. Study, study, study! Some contestants say the best way to prepare is by watching every episode of Jeopardy!, studying every clue and category. Others make flashcards, covering everything from American history, international culture, Shakespeare, and so much more. And of course, practice pressing down on that buzzer!